God knew that 2014 would be 9 year old Hally Nicole Yust’s last year on earth. In His sovereignty and wisdom, God ordained all of her days. Hally had a passion for the Lord ever since she was little. She always begged to go to VBS, desired to be baptized at age 7, passionately memorized her AWANA verses, wrote songs of praise in private to the Lord, and kept a journal of prayers to the Lord. The Yust family did all their normal activities the summer of 2014: helping on the family farm, water ski practice, competitions, camps, swimming in the family pool, playdates with friends, and of course the family favorite, a trip to the Bahamas. The weekend of July 4th started out with fireworks and a trip to the lake with grandparents and cousins. Monday morning July 7th Hally woke up sick. By Tuesday morning, Hally’s bewildered parents rushed her to the emergency room and by that night Hally Nicole Yust was brain dead. Everyone, including the doctors, couldn’t understand what had gone so terribly wrong so quickly. The next day an infectious disease doctor discovered that Hally’s brain had been attacked by an amoeba found in lakes and ponds all over the US. The amoeba causes an infection called PAM which is 98% fatal. No one will ever understand or know why Hally Yust was taken from earth at such a young age, but all who love her have one prayer: that her story may lead others to trust in Jesus Christ, as Savior. The goal of Team Hally is to magnify the Lord in all that we do. Our mission is to provide Bibles to anyone who wants to read God’s word, including individuals, Sunday Schools, Vacation Bible Schools, local charities, schools, neighbors, prisoners, hospitals, groups overseas and many others. Your eyes saw my unformed body, all the days ordained for me were written in your book before one of them came to be. There are many Bible reading plans available now through a variety of websites and books. Personally, we have enjoyed reading and discussing the Bible in groups with friends. Some of our favorite books to read and discuss with friends have been Luke and Philippians. One of our favorite ways to discuss the Bible with friends is by reading through a specific chapter as a group, and having each person individually share their favorite verse from the chapter and the significance it has to them. 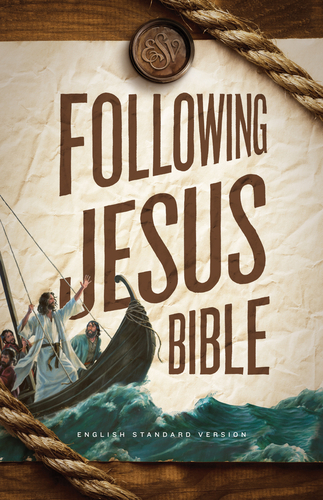 This allows a deeper understanding of the Bible and deeper relationships with Christian friends. God, Help me in the reading, hearing, and understanding of your Word, Amen. For additional information about Bibles or to request Bibles to give, please send an email to: los.williams@hotmail.com. Please use our Contact page to let us know how Team Hally has impacted your life! Team Hally has now purchased a total of 2,000 Bibles! Over 1,300 Bibles have already been given as gifts! Bibles have gone to the 2nd graders at Northview Church in Carmel, Indiana, local Vacation Bible Schools this summer, Hally’s school: Mighty Oaks Enrichment Center (where students are asking for Bibles to give to their friends!!! ), Center of Grace where hot meals are served, Mission Southside, and to individuals everywhere! Follow this link to watch a video of the 2nd graders at Northview Church receiving their Team Hally Bibles. Oh this Bible! What a gift. It is a gift, a treasure and an answer to prayer. My 7 yr old daughter, Hannah, received a Bible with the 2nd graders at Northview. Hannah has accepted Jesus and been baptized, but up to now, I haven’t really fostered a Bible-reading routine with her outside of a devotional book. She knows I read and study mine daily and loves that, so now we are doing it together. We received a challenge to read the book of Mark together, so that is what we are doing. Every day, whether first thing or right before bed, Hannah (and usually our boys too who are 3 and 5), my husband and I snuggle up together and read about Jesus. We are answering so so many questions and spending precious time together. God is using her Bible to get our whole family in the word…together. Every day. She is disciplined and rarely misses a day of reading. It is hard, it has so many new words in it, but she is learning it and LOVING it. Thank you for this precious gift and for the confidence it is bringing to our little Jesus-lovers.